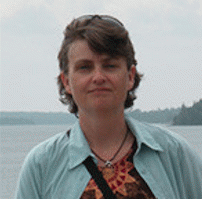 My guest today is Anne Petermann, Executive Director of the Global Justice Ecology Project. Welcome to OpEdNews, Anne. JB: You're up in arms against the humble chestnut tree. You recently wrote This Holiday Season say NO to GMO Chestnuts , a strong OpEd piece against it. I admit that I don't know much about this subject and many of our readers are probably in the same boat. Would you educate us on the subject, please? The reasons for concern about the GE chestnut are many, but one of the main problems is that the GE chestnut has been engineered with foreign DNA from wheat, a process which damages the genome and leads to numerous mutations. This means the engineered tree will likely have unanticipated and unpredictable consequences when released into a forest ecosystem. As we've seen time and again with GMO crops, these unanticipated consequences can be very damaging to biodiversity and wildlife, not to mention people. Just take a look at the iconic Monarch butterfly--it's population is crashing due to the chemicals applied in abundance to herbicide resistant GMO crops. These herbicides are killing off the main food of the butterflies. JB: Here in the U.S., we used to have lots of chestnut trees - millions, even billions of them. It's hard to imagine that introducing them back into our environment would be so iffy. Can you give us an idea of what could possibly happen and the actual likelihood of it happening? AP: The American chestnut still exists throughout the forests of the Eastern US. Many of the trees that were killed off by the blight re-sprouted from the stumps and quite a few of these have survived to the point where they are producing chestnuts that are being harvested by people and feeding wildlife. There is also active work being undertaken to use a weakened strain of the virus on long-lived wild American chestnuts as a way to help evolution along in the creation of real resistant wild American chestnuts--not engineered facsimiles. But the research that is being undertaken to genetically engineer a new chestnut tree--one that has never existed before in nature--is fraught with potential pitfalls. As I mentioned, there are likely to be unanticipated and unpredictable consequences that could be quite dangerous. The idea is to release these GE chestnuts directly into wild forests in a completely fertile state to contaminate as many of the wild American chestnuts as possible, in order to spread the engineered trait far and wide. This means two things. It means that GE chestnuts are incompatible with wild American chestnuts because the wild chestnuts will eventually be contaminated if the GE chestnuts are released. It also means if, say, 10 years or 20 years down the road there is an unanticipated change in the genome of the GE chestnuts--for example the blight resistance gene is "silenced" (stops working--a common problem in genetic engineering), then suddenly we have a whole new wave of trees susceptible to the blight. People who are concerned about the forests, or who want to see the American chestnut restored, should be quite concerned about this. JB: You raise a good point, Anne. There are plenty of people who are concerned about our forests. But concern and understanding of the dangers of this GE intrusion are two different things. How do we bridge that gap? And aren't the corporations behind this clever to cloak it in other, positive terms? AP: Yes, that corporate involvement is a key piece of the puzzle. Some of the sponsors and funders of the research into the GE chestnut do not have concern for the forests at the top of their list. These include both Monsanto (never a good sign) and ArborGen--a major GE tree company jointly owned by three timber multinationals including International Paper and MeadWestvaco. ArborGen currently has a request pending with the USDA to commercially sell an estimated half a billion GE eucalyptus seedlings for vast plantations throughout the Southern US, from South Carolina to Texas--and potentially also in the Pacific Northwest. These GE eucalyptus plantations will do incalculable damage to the forests of these regions. Not only will forests be logged out to be replaced with these fast-growing plantations, two of the eucalyptus trees used to create this GE eucalyptusare already documented as invasive. JB: What does that mean exactly? AP: Eucalyptus trees are native only to Australia. But in the 1850s for example, they were introduced into California. Now they have spread throughout vast regions of the state. They are also explosively flammable, as we saw in the Oakland wildfires of 1991 which were fueled by invasive eucalyptus trees. Eucalyptus are also extremely greedy for water and existing non-GE eucalyptus plantations have dried up ground water in many regions, causing tremendous hardships on local communities. They also kill off ground vegetation with a toxin that they release from their leaves, and because they are non-native, wildlife cannot use them for food or habitat. 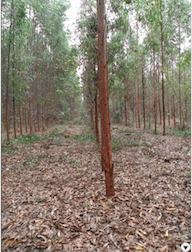 Freeze-tolerant GE eucalyptus plantations are an ecological catastrophe waiting to happen. One of their nicknames is "flammable kudzu." But Monsanto is even worse. We all know the havoc that Monsanto has wreaked around the globe. So if these are two of the backers of the GE chestnut, then clearly, for them, altruism is not the main point of these trees--it is public relations. They want to convince the public that GE trees can have beneficial applications to open the door to destructive GE trees like ArborGen's GE eucalyptus.